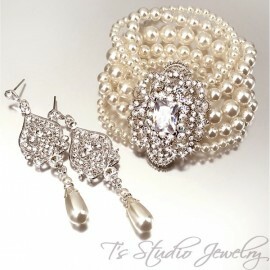 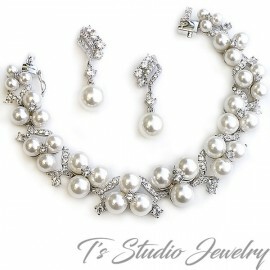 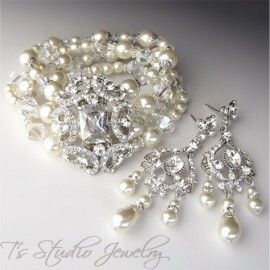 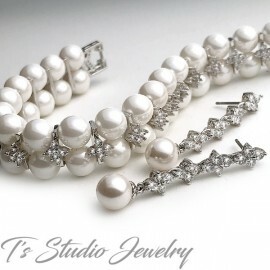 "Ashley" 4-strand Crystal and Pearl Cuff Bridal Bracelet and "Phoebe" Pearl Chandelier Earrings, the perfect combination of style and elegance. 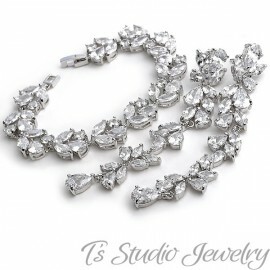 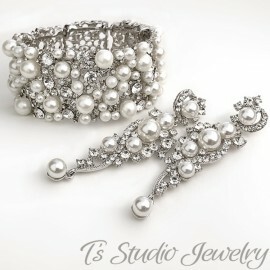 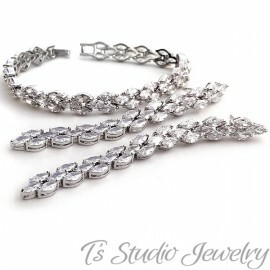 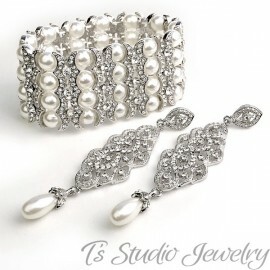 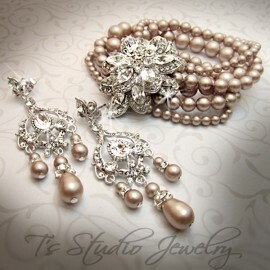 A gorgeous rhinestone centerpiece is the focus of this multi strand wedding bracelet, which is made with a combination of crystals and pearls, and mixed with just the right amount of silver accents. 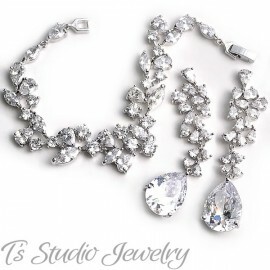 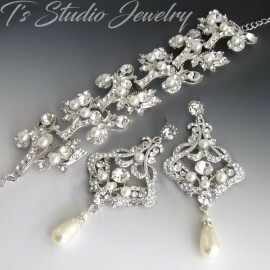 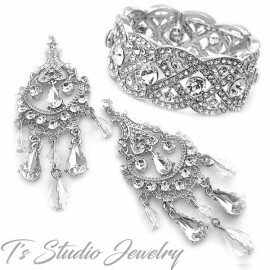 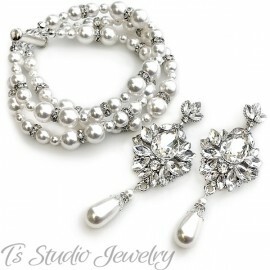 The chandelier bridal earrings are on a silver base encrusted with clear crystals, and accented with a combination of teardrop pearls and crystals. 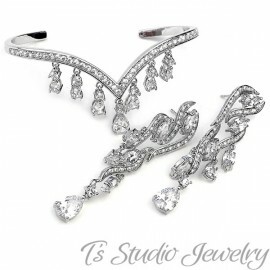 Earrings measure 3 1/4".